Within the wider industry however, many have welcomed the move. Also, check out today's opinion 'Are all social media platforms becoming the same?' 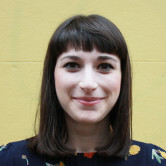 by We Are Social MD Suzie Shaw. Campaign director at digital marketing firm G Squared, George Pappas, says from a Facebook point of view, creating a similar function makes sense. "When a social platform does something Facebook can’t, generally they create a competing, or in this case strikingly similar, offering or feature. Facebook has this insatiable appetite to keep us within their ecosystem at all times," he says. Pappas does question whether or not the new function will dilute its identity as a "retrospective as opposed to live" content platform, but adds that there is clearly a demand there from a client perspective. "Brands and users alike spend hours editing pics and getting content right for Instagram. It’s everyone’s lifestyle magazine," Pappas says. "Is there an opportunity for brands? It seems so. We’re all trying to humanise brand voice and tonality through our social content. This provides another avenue to do so, albeit much like Snapchat." Storyful Australia's Tj Edwards, who works on brand and content strategy, says Instagram's move is a wise one. He says it shows Instagram hasn't just accepted that snackable content is the way forward, but it has now actively made it possible for brands to use. 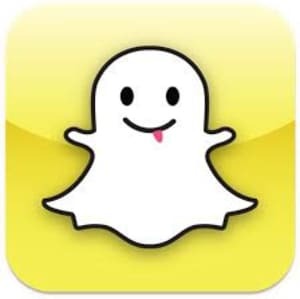 Edwards says while Snapchat has its merits from a brand's point of view, it’s very hard to justify not only asking your Instagram, Twitter and Facebook communities to also follow you on Snapchat, but another barrier is that there is no proper analytics behind Snapchat which in turn means no way to justify marketing spend. He says he is a fan on Instagram's move, adding that his first few tests have been fun and he's impressed with the amount of branded accounts he follows, mainly travel, that have quickly jumped on board, adding that it's likely they have surely been given the heads up by Instagram. "Functionality-wise there are obviously a few features lacking when comparing to Snapchat - editing text colour, adding emoji’s by themselves, geo-tags, setting an image time limit, screen shot warnings or the ability to use Instagram’s other video app features (Boomerang) from within the app, but you can guarantee they are only an update away," he says. He says the biggest challenge Instagram Stories will face is to "convince" the younger demographic/generation who have left Instagram or grown up with Snapchat and may not really be interested in this new change. "I'm also interested to see if community managers have experienced a decline in "hashtagged" user-generated content with the rise of Snapchat and if this will have any effect on it," he adds. Both Instagram and Snapchat are trying to improve their businesses by increasing digital advertising in native formats, like Stories. Snapchat has been increasingly working with brands on branded geofilters, with Tiffany and Co the latest advertiser to get on board. Facebook is currently testing mid-roll video ads in Facebook Live – a model which could be introduced into Instagram’s new Stories feature. Snapchat staff have hit back at Instagram's new feature with claims the Facebook-owned photo site has copied its product. The new Instagram Stories allows users to share photos or videos with select friends which will disappear after 24 hours. Instagram CEO Kevin Systrom recently admitted to TechCrunch that the two products were similar, noting Snapchat “deserve all the credit” for the creation of disappearing images. While Snapchat has refused to comment on the move made by Instagram, noting they have nothing the share on it, Snapchat employees have criticised the move publicly on Twitter according to Business Insider. Has Instagram just declared war on Snapchat?